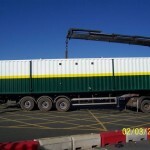 The largest quarrying and construction material provider in the UK, Tarmac, got in touch with us to create a bespoke container conversion for their worksite personnel. 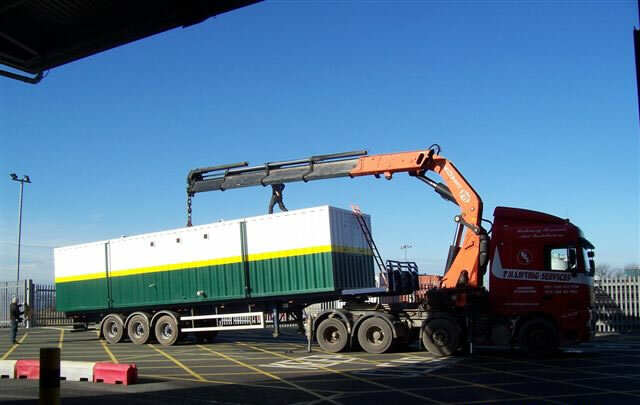 As a geographically mobile business, Tarmac wanted to be able to move the container as and when required, which was one of the many reasons why a container was the perfect option for this task. 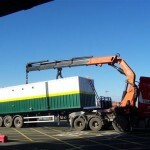 Just as mobile once converted as in it’s original state, converted containers can be transported in multiple ways, allowing maximum functionality, flexibility and return on investment. Tarmac required anti-vandal doors and windows, due to the nature of its operating locations, which we incorporated into the conversion design. 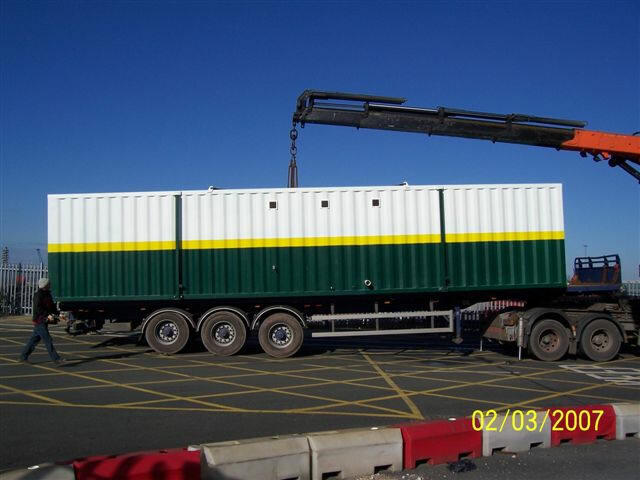 As the unit would be unattended at points, security of the container was paramount. Provisions for workers required included a canteen, toilet and shower room facilities. 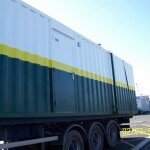 For this the container required both electrical, water and drainage systems. The combination of these functions enabled staff to relax and be comfortable whilst taking a break on worksites. 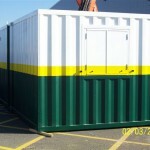 As our shipping containers are so flexible in the way they can be converted, we have a huge variety of options that enable customers to create their perfect container. 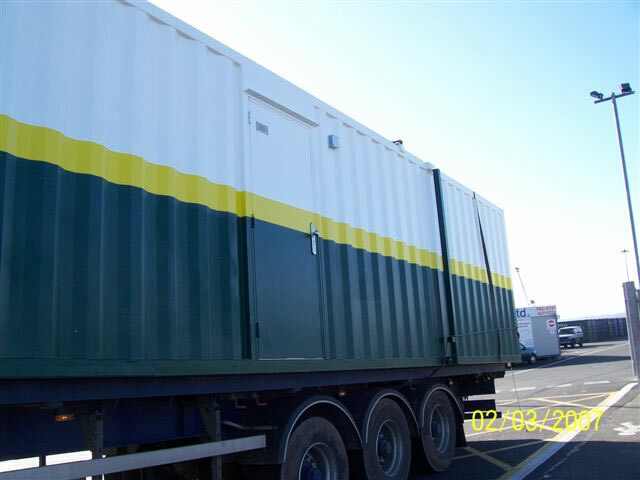 Our conversion for Tarmac needed to be hard wearing and durable, which is why we installed vinyl floor covering – a cost effective, low maintenance and long lasting floor covering,perfect for this high traffic container. As a comfortable space for employees, windows were installed in this bespoke container, as well as creating a fully heated, insulated environment. 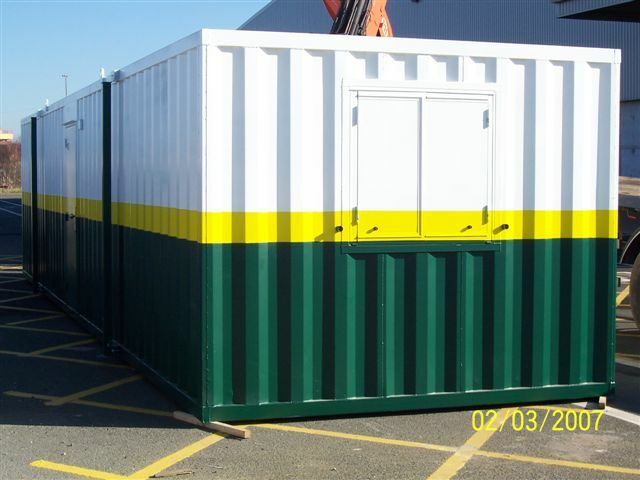 Container Care created this bespoke container to meet all of Tarmac’s requirements, providing a high quality finish to Lloyd’s container standards. It’s portability, functionality and fully installed electricity, heating and water systems created the ideal welfare area for employees.